Emerald is the color of growth, luck and riches. It’s a perfect color to wear in a handbag or clutch. An emerald-inspired necklace will make brown eyes look deeper and enhance green and blue eyes. Feel free to pair with matching earrings. An emerald colored cocktail dress in a shiny silk is an adventurous substitute for the little black dress. 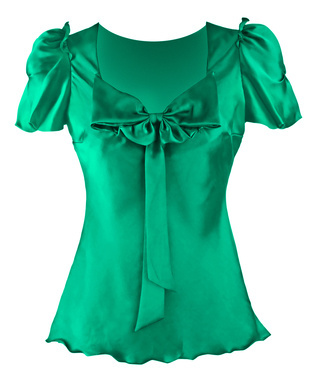 Find a standalone blouse in emerald. The color is vibrant and graphic. Just add simple gold jewelry and wear it with black. Try wearing a shade of emerald on your nails. I realize for some of us, this is a stretch! Your manicured nails become the main attraction. Note: There’s no need to match them to clothing pieces. The upcoming post in this series is: Flowers, Flowers, Everywhere! Have you heard the news? My new book, Out the Door in 15 Minutes is NOW AVAILABLE! You can purchase it here on the site, at www.jillswanson.com or from Amazon. Jill Swanson, owner of Beauty Made Easy, image coach, style consultant, national speaker, and the author of Out the Door in 15 Minutes, Simply Beautiful Inside & Out, Simply Scarves, and Simply Closets. Jill is a national speaker, multi-published author, image coach, and style consultant. She's been coaching and mentoring women for over 20 years. 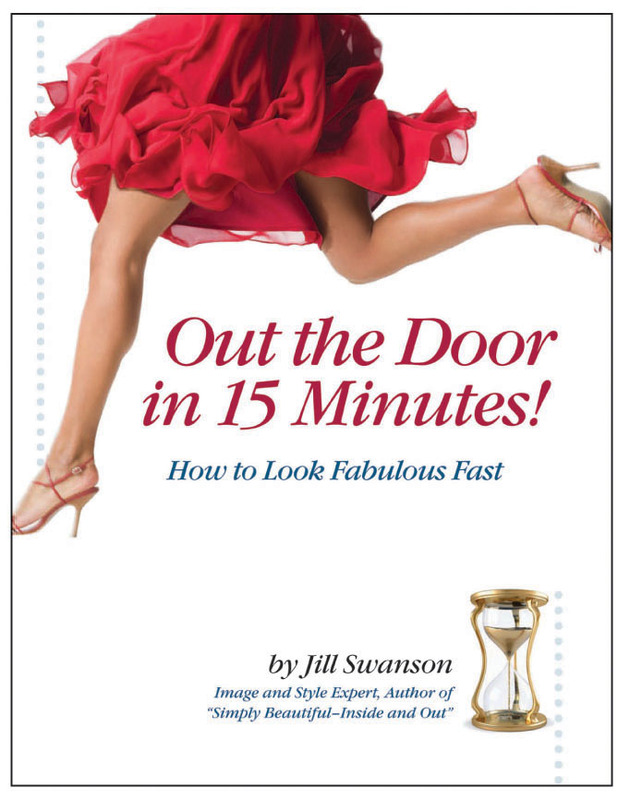 Her latest book is: Out the Door in 15 Minutes ~ How to Look Fabulous Fast! 5 Ways to Go From Frumpy to Fabulous! “Out The Door in 15 Minutes” is the magic wand that will transform anyone from 'drab' into 'fab' in a flash. This book is packed with tips and techniques that will help you recover time in your day, energy in your daily routine, and present a confident image that reflects the true you. It would be easy to believe that Jill was born with exceptional looks and style, but she is living proof that beauty begins within. Underneath her impeccable exterior is evidence of a profound challenge. Jill was born with a rare birth defect. This lifelong issue has given Jill deep respect for the power of spirit, attitude and grace. At a very young age, she gained special sensitivity to the impact of appearance and has devoted her life to helping people always be their very best, inside and out. ©2017 Jill Swanson of Simply Beautiful Image Consulting | (507) 250-2030 | Rochester, MN - All Rights Reserved.